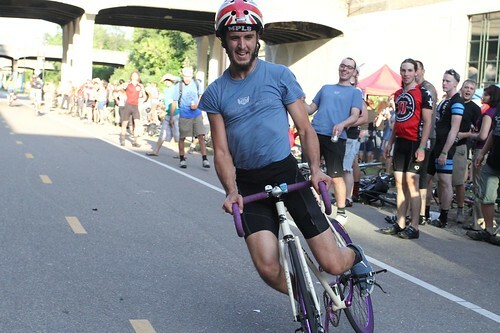 The Powderhorn 24 hour race happened this weekend. 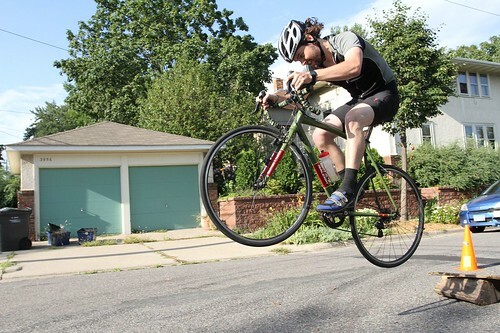 Some clowns put up a jump at stop 1.5 - and even better is that riders kept hitting it after the hill climb! 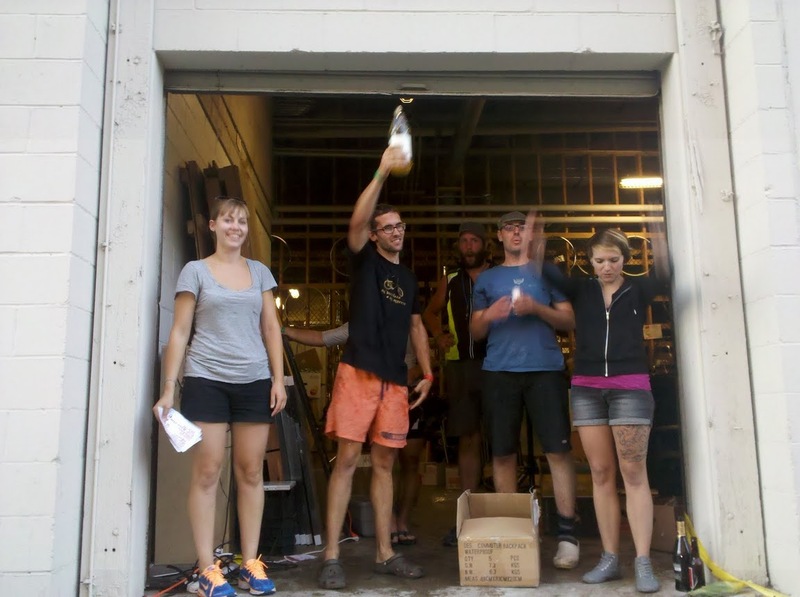 The race ended promptly at 7pm Saturday night, and all racers and spectators rushed to get to the main checkpoint prior to the cutoff. 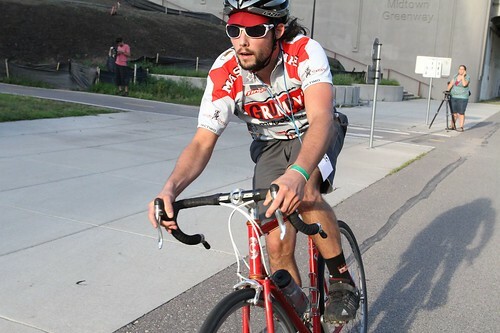 Tim here rode solo in the men's category and hit 340 miles in the 24-hour time allotted. I rode the coarse a few times, and the most I've ever ridden at once is 150-miles, though that was from point-to-point, not seeing the same thing twice. Riding hundreds of miles (which many did here) over a roughly 4-mile coarse filled with a dozen or more stop signs and red lights is leaning on the verge of crazy. All the stops and starts takes a beating on your legs and knees - there were a few people holding their knees during the race. You've got to be hurting today - take a rest, you've earned it. Thanks SO much for working hard and taking photos of the race! 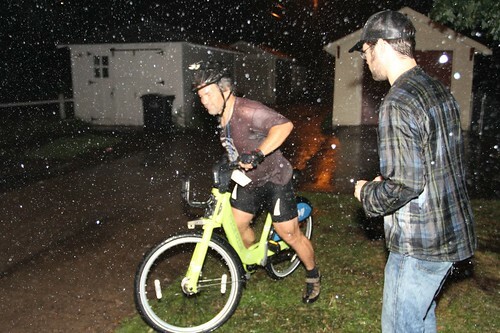 You got some good ones of me hustling through stop 2. I'm skull socks, and my partner and I were the only all-female team this year. Nice to meet you.